Are you ready to schedule air conditioning installation or replacement services in Ponchatoula? Make sure that you do so with a skilled, reliable Ponchatoula, LA air conditioning professional. There are too many factors to consider with an air conditioning installation to take any chances with an unskilled amateur. When you work with us, you can rest assured that your new air conditioning system will be installed properly for maximum performance levels. Call today to schedule service. When you depend on any mechanical system as much as you do your air conditioning system, it is important that you take every measure necessary to keep that equipment in great working condition. That is why prompt air conditioning repair service in Ponchatoula, LA is so important. The longer you wait to schedule professional repair services, the worse off your system is likely to be. 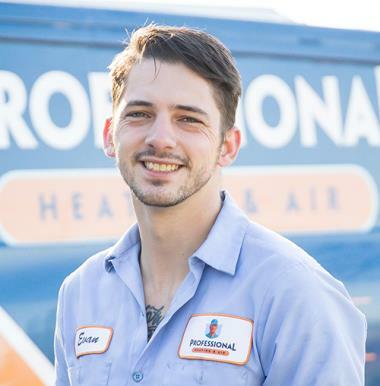 Also, keep in mind that the best way to prevent problems with your air conditioning system from developing in the first place is to schedule routine air conditioning maintenance with our Ponchatoula air conditioning technicians. Never think for a moment that your heating system is any less important a piece of equipment than your air conditioner is. When the summer heat fades and the heating season arrives, you will be happy that you scheduled professional heating services in Ponchatoula, LA. Make sure that you call us to get the great heating installation services you need. We can also complete a great heating system replacement services in Ponchatoula, LA. You are going to have to schedule professional heating repair services in Ponchatoula, LA eventually. When you do, we are the Ponchatoula heating repair company to call in order to ensure that the job is done right. Your comfort is our top priority, and when we handle your heating repair and heating maintenance needs, you can rest assured that you will receive exceptional service quality. 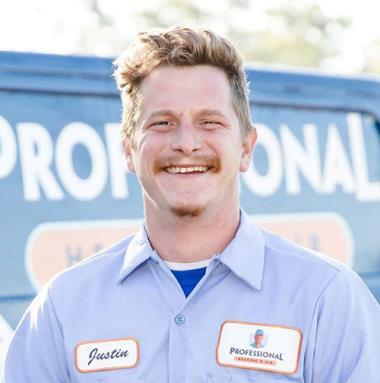 The heating and air conditioning technicians at Professional Heating & Air Conditioning are available to handle any HVAC or indoor air quality services you may need. Contact us today to learn more about the extensive array of services we offer. We can help you keep your home and commercial property comfortable throughout the entire year. Indoor Air Quality: Get the air filters, UV germicidal lights and duct cleaning services you need to boost indoor air quality in Ponchatoula, LA. We are always just a phone call away. You deserve great air quality in your home. Commercial HVAC: The installation, repair and maintenance of your commercial heating and air conditioning equipment must be completed by a skilled professional. Call us to make sure that this is the case. For professional commercial HVAC installation, repair and maintenance services in Ponchatoula, LA, you can always rely on us. Heat Pumps: Heat and cool your home with greater efficiency than ever before. Call us today to ask about the benefits of having a heat pump in Ponchatoula, LA. You may find that this is the heating and air conditioning system you have been looking for. Thank you so much for the 5 stars!! Been using aprofessional for about 5years always a pleasure to do business with! Thank you so much Jay! We really appreciate your business and loyalty! Thanks guys!! We appreciate your loyalty. Thank you so much Ms. Linda! We appreciate your business. Thank you Mr. Tom. We appreciate your business! Thank you Mr. Neal. We appreciate your business! Thank you so much! We appreciate you guys so much. Thank you Mr. Danny. We are so glad that we could get everything worked out for you. We really appreciate your business! 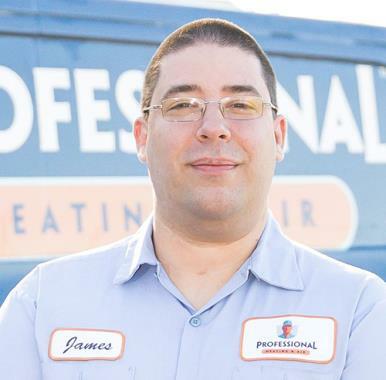 The technician, James, responded quickly and was flexible with scheduling the appointment. He explained the problem and we developed a solution. Thank you Ms. Mary. We really appreciate your business and look forward to servicing your unit in the future! He came out in the rain. Made several calls. They were reasonably priced. It was raining, and he came out when no one else would today (same day service). He did a fantastic job. I was very impressed with his professional manners. Thank you Ms. Jan. I am so glad that we were able to take care of you and get the job done in a timely manner. We hope this is the start of a new partnership. Thank you Ms. Linda. We appreciate your business. Thank you so much! We appreciate your business. THE SERVICE TECHNICIAN WAS VERY PROFESSIONAL AND KNOWLEDGEABLE ABOUT ALL MY QUESTIONS AND CONCERNS. Thank you so much for the great feedback! We appreciate your continued business. Thank you so much Ms. Marilyn! We appreciate your business. Tech Evan was prompt, friendly, knowledgeable and performed the scheduled maintenance quickly. Thank you guys so much for your business and the wonderful review. Even was courteous and very professional. Walked me through exactly what he did and made sure I understood what he was talking about. Overall a great experience and very pleased I opted for the yearly maintenance plan!! Thank you Mr. David. We look forward to a great long term partnership with you. The service was great and the gentleman who came was very informative about issues that he noticed regarding the furnace. Thank you so much for your review. We are so glad that we could help you out. Thank you Mrs. Betty! We appreciate your business and loyalty. 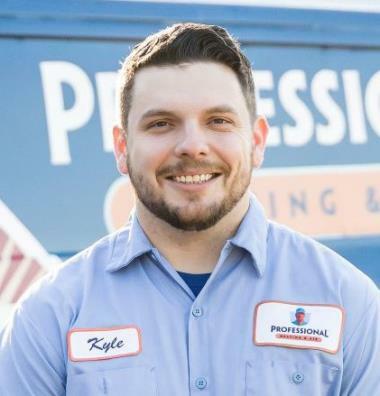 Kyle Siegrist was great and represented your company well. Very happy with their response time!! Preformed maintenance on Goodman system. Installing a 2.5 ton daikin. Preventive maintenance performed on split system. Low voltage wiring inspected for pest damage. Prefoemd maintenance on downflow system. Installed lyric water sensor on water heater. Mini split inspected for refrigerant leak. Preventive maintenance performed on split a.c. system. Gas pipe reran to bring furnace up to code. Preventive maintenance performed on Lennox split system. Why Should I Upgrade to an Air Conditioner with a Higher SEER Rating?